The Football Association of Ireland has appointed Ruud Dokter as high performance director. 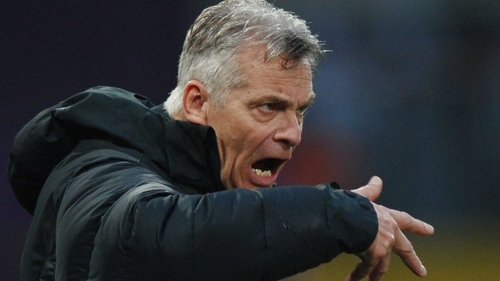 Ruud Dokter, 57, from the Netherlands, has worked most recently with the Dutch Football Association, where he has filled a variety of senior coaching positions at men’s U21, U18, U17, U16 and U15 level as well as with the senior women’s team. He will take up his position with the FAI on 1 August and will oversee the non-senior international men’s programme, the women’s senior and underage international programme, coach education and player development. This will include the emerging talent programme as well as the academy in Abbotstown, where the first phase is currently being developed. Speaking about his appointment, Dokter said: “My first priority will be to cultivate relationships with those people who invest so much time in nurturing young Irish talent, provide a good sense of direction and influencing everyone to work together. John Delaney, FAI chief executive, said: “Ruud will be working closely with all of the affiliates involved in Irish football with an emphasis on coaching and the development of our elite player pathway."